Above: ‘The Taking of Washington’. The drama of events in Washington when it was captured by British forces under General Ross is revealed by the testimony of eyewitnesses to those fateful days in August 1814. Among other interesting details, both Mary Clemner and a young slave boy, Michael Shiner, record how General Ross was shot from his horse on arriving in Washington following his victory at the Battle of Bladensburg. Ross, it is worth mentioning by way of background information, was approaching the Capitol under a flag of truce. The shooting incident breached the conventions of warfare and could easily have led to the entire city being consumed in flames by the conquering British forces, according to the point of view of the British, as illustrated in the extract from G.R.Gleig’s ‘Narrative’ below. 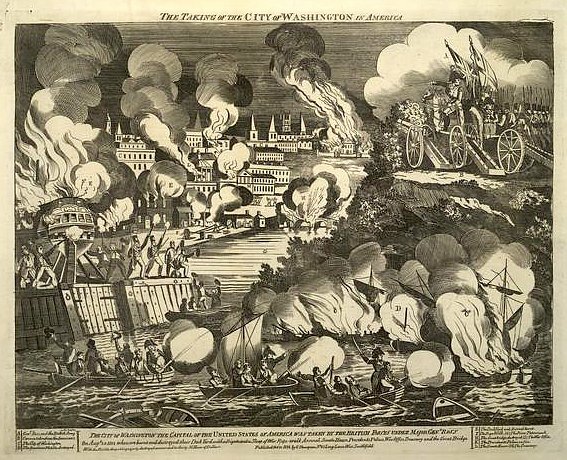 Contemporary accounts, British and American, however much they disagree about the rights and wrongs of the burning of the public buildings in Washington, both agree that Ross exercised enormous restraint on his troops and that the only private dwelling burnt deliberately by his troops was the one from which the shots were fired at him. Equally interesting are the recollections of the First Lady, Dolley Madison on the events of 24th August 1814 when she and her husband were forced to abandon Washington, an event which has been termed by some as ‘the Flight of the Madisons’, Despite being in grave danger the First Lady refused to leave until the famous portrait of George Washington was cut out of its frame to prevent it falling into the hands of the British. Interestingly, Mrs Madison testifies that the destruction of the President’s Mansion had been contemplated by her ’faithful servant’, French John, who wanted to blow up the British as they entered the residence. French John (a faithful servant), with his usual activity and resolution, offers to spike the cannon at the gate, and lay a train of powder, which would blow up the British, should they enter the house. To the last proposition I positively object, without being able to make him understand why all advantages in war may not be taken. Since sunrise I have been turning my spy-glass in every direction, and watching with unwearied anxiety, hoping to discover the approach of my dear husband and his friends; but, alas! I can descry only groups of military, wandering in all directions, as if there was a lack of arms, or of spirit to fight for their own fireside. Will you believe it, my sister? we have had a battle, or skirmish, near Bladensburg, and here I am still, within sound of the cannon! Mr. Madison comes not May God protect us! Two messengers, covered with dust, come to bid me fly; but here I mean to wait for him. … Our kind friend, Mr. Carroll, has come to hasten my departure, and in a very bad humor with me, because I insist on waiting until the large picture of General Washington is secured, and it requires to be unscrewed from the wall This process was found too tedious for these perilous moments; I have ordered the frame to be broken, and the canvas taken out. It is done! and the precious portrait placed in the hands of two gentlemen of New York, for safe keeping. And now, dear sister, I must leave this house, or the retreating army will make me a prisoner in it by filling up the road I am directed to take. When I shall again write to you, or where I shall be tomorrow, I cannot tell! On the evening of August 24, 1814, after the battle of Bladensburg, General Ross led his victorious troops into the Federal City. As they approached the Capitol a shot was fired by a man concealed in a house on Capitol Hill. The shot was aimed at the British general; but only killed his horse. The enraged Britons immediately set fire to the house which contained the sharp-shooter, who, it is said, was a club-footed gardener-barber Irishman. The unmanageable troops were drawn up in front of the unfinished Capitol, a wooden scaffolding, occupying the place of the Rotunda, joining the two wings. 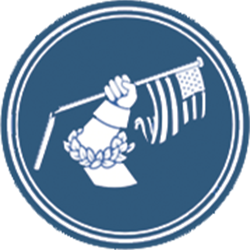 They first fired a volley into the windows and then entered the building to prepare it for destruction. . Admiral Cockburn ascended to the Speaker’s chair, and derisively exclaimed: “Shall this harbor of Yankee Democracy be burned? All for it say Aye! '” It was carried unanimously, and the torch of the Englishman applied to the hard-earned treasures of the young Republic. The Library of Congress, used as lighting paper, was entirely destroyed. With it, two pictures of national value were burned ; portraits of Louis XVL and Marie Antoinette, which, richly framed, had been sent to the United States Government in Philadelphia, by the unfortunate French King. While the Capitol was burning, clouds and columns of fire and smoke were ascending from the President’s house and all the other public buildings of the young city. The conflagration below was dulled by the conflagration above; one of the most dreadful storms of thunder and lightning ever known in Washington, met and lighted on the British invaders, dimming and quenching their malicious fires. the British armmy Still continued ther March on towards the capitol ontill they got against a large Brick house on Capitol Hill fronting Mary land avenu and frontting 2 Street formly oned By Judge Suel of Mary land and Wher ocepied formly the Judge and his famly every Session of Congress This house now sets to the North east of the united Steates Senate and as the British army aproach that house under the commamd of genral Ross and his aids his horse Wher shot from under him in a twinkale of the eye house Wher sorouned By British armmy and search all through up stairs and down stairs in search of the Man that shot the horse from under genral but no Man was found. part of the property itself could not be removed. Above: G.R. 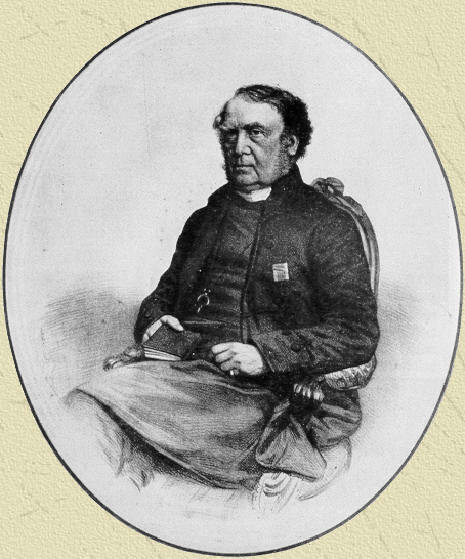 Gleig in his later years, a participant in the Battle of Bladensburg and later Chaplain General of the British Army.